Twitter Alerts in your timeline feature an orange bell icon. When a disaster strikes, news tends to get shared on social network Twitter first. 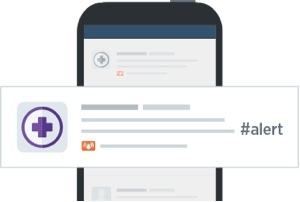 Interested in expanding its role, this week the microblogging platform announced a new feature called Twitter Alerts, a new way to stay up-to-date about a crisis or emergency in your area. The Twitter Alert system is designed to send SMS and push notifications to your phone featuring “time-sensitive, critical information related to the unfolding event” from official crisis-relief agencies. Some of Twitter’s partners in the effort include FEMA, the American Red Cross, the U.S. Department of Homeland Security and local agencies like the New York City Office of Emergency Management and the Los Angeles County Fire Department. You can even get alerts from the Centers of Disease Control should a zombie outbreak happen in your vicinity. You can take a look at the full list of participating organizations here. From that page, you’ll be able to click on the organizations you’d like to receive alerts from. Rest assured that you won’t be bothered for minor stuff – you’ll only be alerted about events that pose serious threats to your safety or property. To learn more about Twitter Alerts, visit the official Twitter blog.